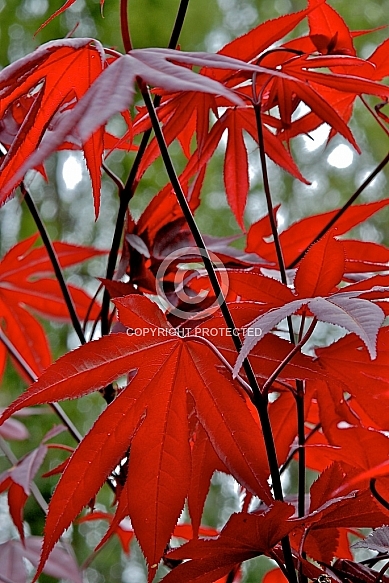 Description: A particularly beautiful variety of maple. Neat, upright growth habit to 3 - 4m. Large, slightly glossy, 5-lobed leaves of intensely deep wine-red colouring turn to vivid orange, yellow and scarlet tones in autumn. Leaves hold on longer than many other varieties. One of the most popular varieties in the U.S.A.